Martial Arts heavily associated with belligerent arts of East Asia but originally used in regard to the combat systems of Europe as early as the 1550′s can also be known as improving on your health and having fun at the same time. People may class Martial Arts as a hobby and as an extra circular activity not realising how this art skill can improve on one’s health. From helping an individual with weight loss, enhance their liver functions and psychological activity – there’s so much to gain whilst you train at the same time – what more can a person ask for. These are but a few of the health benefits that you can gain from whilst doing Martial Arts exercises and training – bearing in mind that the programmes require individuals to have well functioning muscles and joints to participate. Research also shows how it can improve on your cardiovascular health, muscle tone, reflexes and most important of all, your mood! 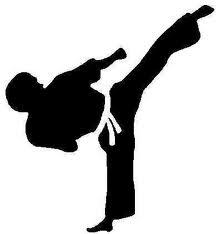 Truly, undergoing martial arts training allows you to enjoy a unique program that combines exciting adrenaline rush with a no nonsense workout. Our aim is to provide students and the general public access to the best and most professional martial arts knowledge and training. In two minds whether it’s for you or not – Not to worry! Attend the free trial class now.